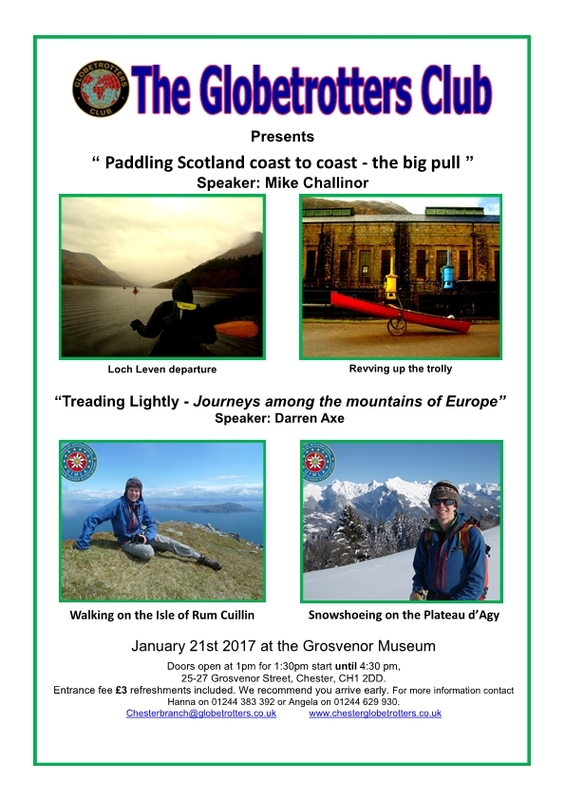 Mike Challinor — Paddling Scotland coast to coast the big pull. Darren Axe — Treading Lightly – Journeys among the mountains of Europe. Darren is an International Mountain Leader with a passion for sustainability in the mountain environment. During ten years of journeys to, from and around Europe’s high places he has developed a wealth of knowledge and interest. This talk critically assesses our place in wilderness; from how we move in, out and around it to the activities we undertake within it. From the emblematic Alps to the intrepid Carpathians, this thought provoking talk takes us there and back again with stunning photography throughout.